In a departure from my usual instructional-style Blog post, I feel compelled to address an issue that is quite literally causing my phone to ring off the hook. While I am both somewhat surprised and extremely pleased with the unexpectedly large response to and readership of this Blog, my staff has been inundated with phone calls from around the Country seeking all kinds of advice and citing the “free consultation” notation on both my Blog and Website. Sometimes the caller may be in Michigan, but asks about a case pending somewhere I do not go. Other times, the caller may want to ask questions about an area of law that I do not handle. I wish I could help, or at least give some worthwhile direction to everyone who needs a little information, but my office simply cannot help in matters that fall outside the scope of what I do and where I do it. My experience and Practice is limited to handling Michigan cases. Even then, I limit my Practice (and thus my advice) to the Metropolitan Detroit and outlying areas for everything except License Restoration matters. 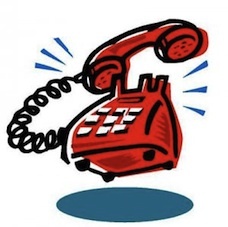 A recent caller from Connecticut wanted to ask about his Foreclosure and Re-Financing options. I have no idea how Foreclosures and Re-Financing are done outside of Michigan, and am in no position to even begin to advise or direct anyone from a different state, beyond telling them to contact an Attorney there who handles the kind of matter for which they need advice. Another caller wanted to know what he should do about a recent Traffic Ticket. It turns out that he was calling from another state about a ticket he received in that state. Again, I have no clue about how things are properly handled in any state other than Michigan, and even here, my Practice is more or less limited to the Metro-Detroit. Throughout the articles on this Blog, I often use the terms “Macomb, Oakland and Wayne Counties,” “Tri-County area,” “Metro-Detroit area” or “Metropolitan-Detroit area.” I’ll define exactly what that means below. 1. Michigan Driver’s License Matters: Anything that requires either a Restoration or Clearance of a Michigan Driver’s License, no matter where the person lives. In other words, if you need help with a Michigan License, it doesn’t matter where you live, whether in, or even outside of, Michigan itself. 2. Michigan Criminal, Drunk Driving and Traffic Ticket Cases: I handle Criminal, Drunk Driving, and Traffic Ticket Cases that are brought or are pending in any Court in Macomb County and any Court in Oakland County. This includes, of course, Felonies that are or will be heard in the Wayne County Circuit Court. I will also handle Criminal and Drunk Driving Cases in the 72nd District Court in Marine City. Given that I base my advice and answers upon experience, and because my experience is primarily in Macomb, Oakland and those limited parts of Wayne Counties, I am unable and unwilling to advise or direct someone with a case outside of those geographic areas to do anything other than contact an experienced Lawyer who would be considered “local” there. 3. Michigan Bankruptcy Cases: My office files Bankruptcy for people who live in Macomb, Oakland, Wayne, St. Clair and Sanilac Counties. Anyone who lives in one of those Counties will have their case heard in Detroit. If you do not live in one of these Counties, then your case will not be heard in Detroit, and I only handle cases that are heard in Detroit. Because different locations can operate a bit differently, I do not advise anyone whose case would be heard outside of the area where I practice. Those individuals should contact a “local” Attorney. There are no words to express how gratified I am that anyone finds anything I say to be worthwhile. Nevertheless, I have tried to be clear in my various Blog posts, as well as on my site, about the geographic scope of my experience and Practice. I think one of the reasons I can be as detailed as I am is precisely because I limit what I do and where I do it. I have pointed out that part of the very experience I sell is the knowledge one gains from doing something again and again in the same places and with the same people.